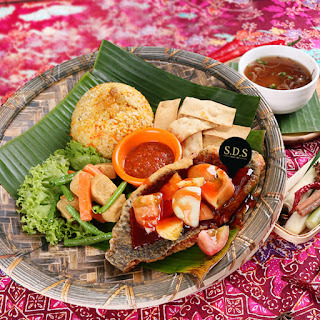 SDS introduces Selera Meal along with Hari Raya celebration, aims to arouse taste in memories. 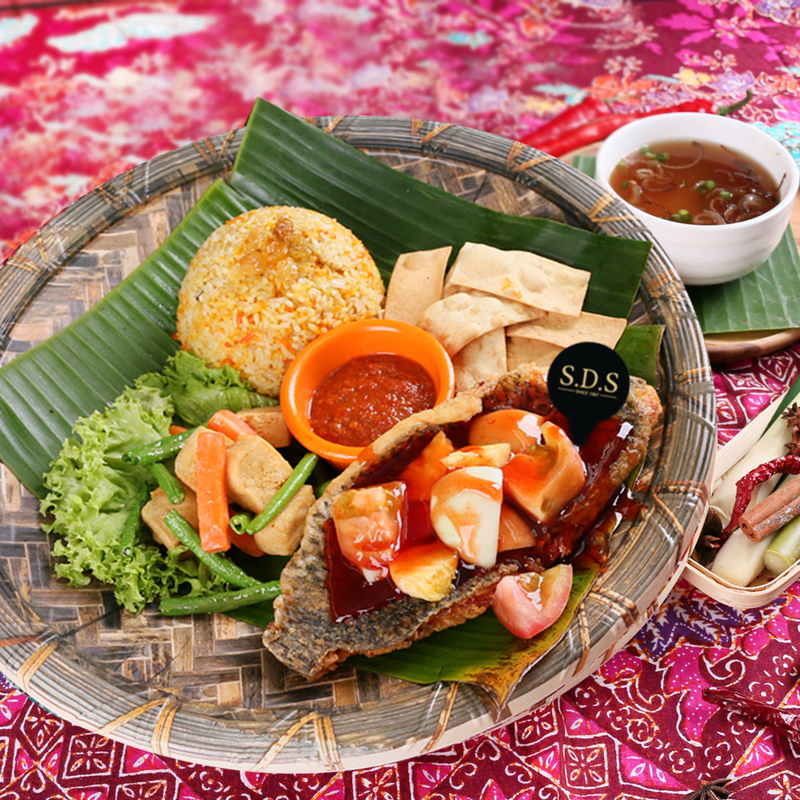 Selera Meal served with Nasi Briyani, and aims to make an utmost effort to help people in regaining taste in childhood memories, and retrieve kinship with family. Back to days in 60s and 70s, people used to enjoy Briyani in village. 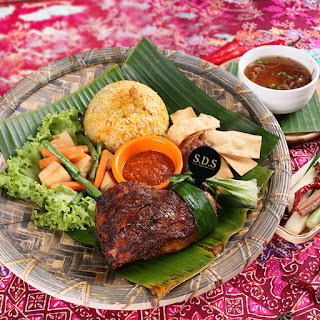 Boys and girls rushed back home from playground when it was time for Briyani. It was jovial dining moment when people sat by the table and have their Briyani together. However, as time goes by, children grew up and moved out to cities leaving the elderlies behine. 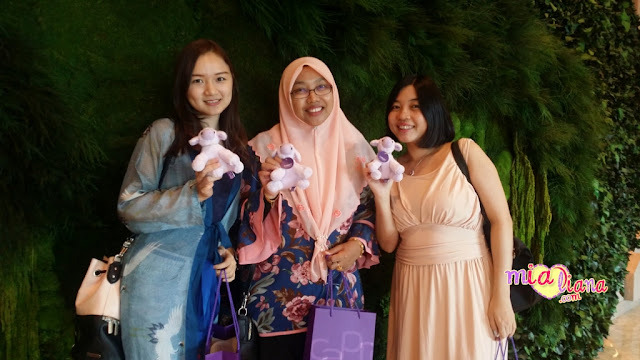 Busy city lives have lessened their time spending with parents. Selera Meal introduced by SDS comes with choices of chicken and fish dishes, is served all day in SDS Cafe during Raya period, till 28th July 2017. 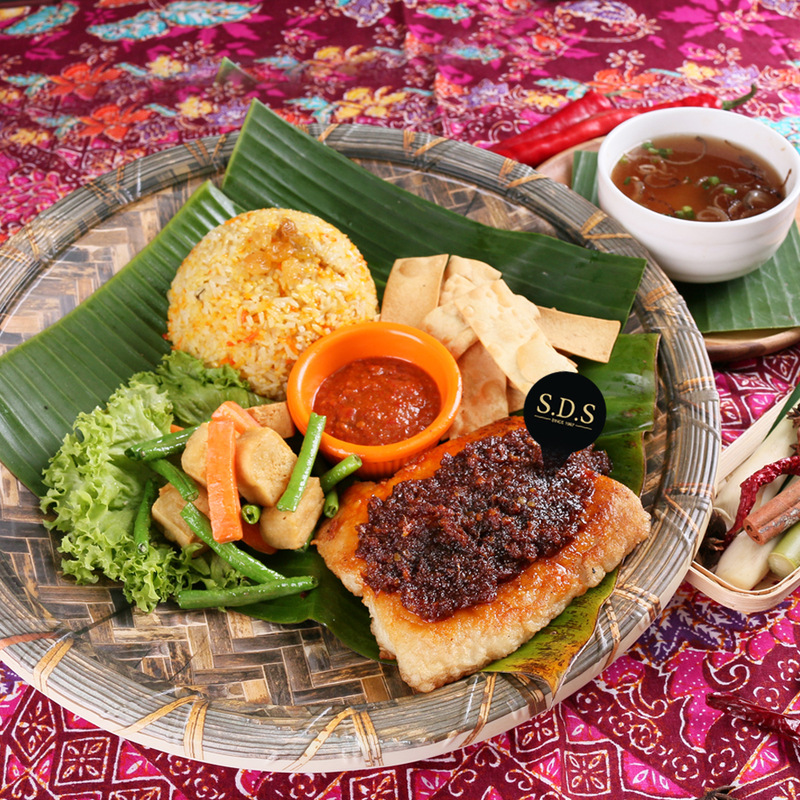 There are four Briyani selections included Portuguese Grilled Fish, Pandan Chicken Whole Leg, Satay Grilled Chicken Chop, and Tiga Rasa Tilapia Fish. 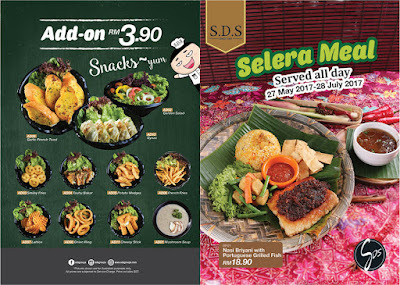 Yummy snacks from RM3.90 are available with purchase of any selection. 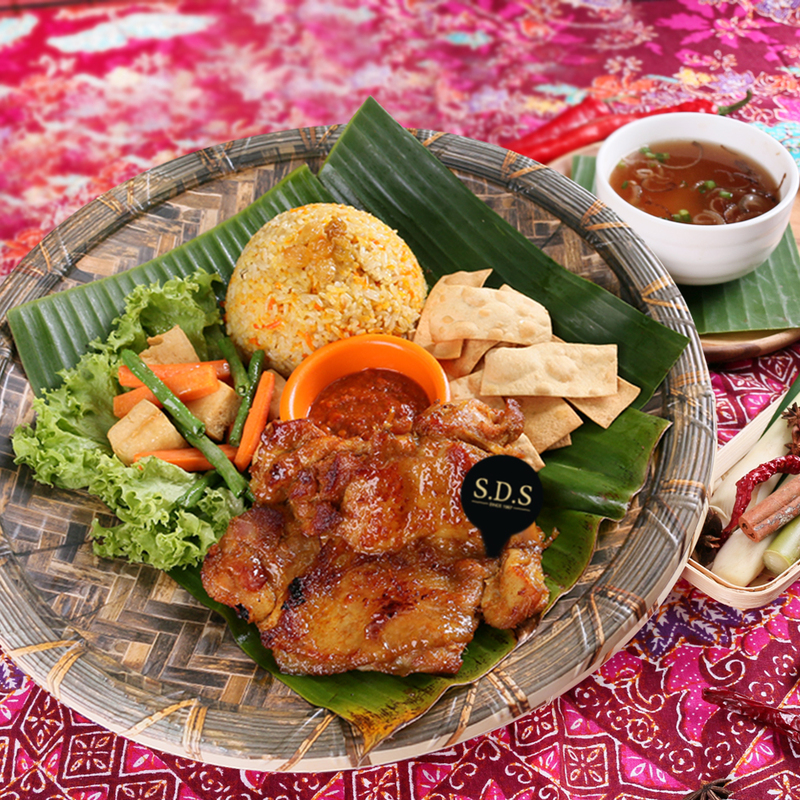 SDS has also introduced Raya gift hamper series for people to share their happy emotion with their loved ones while celebrating this meaningful festival. Five choices of gift hamper which served mainly on cookies, ranges from RM98 to RM238 accordingly. A variety of Raya Cookies and Lapis are available too at selected SDS outlets. For further information on Raya Selera Meal, kindly log on to SDS official website at www.sdsgroups.com. 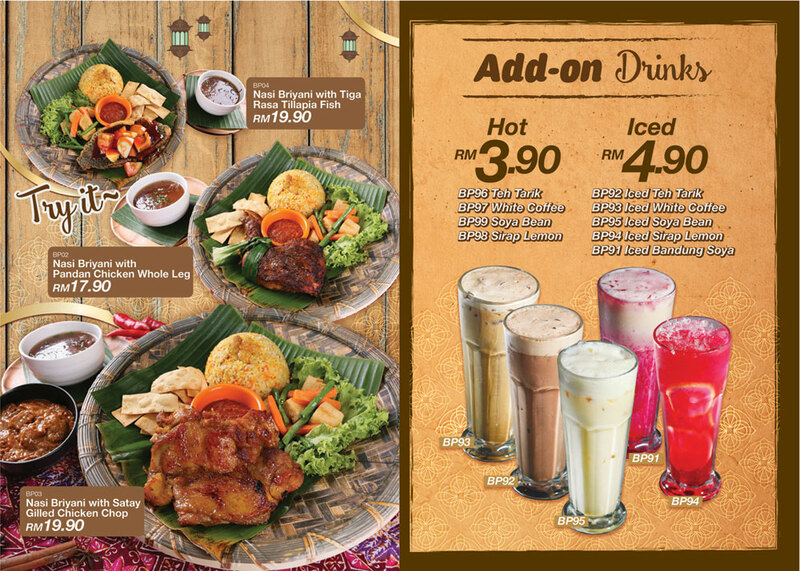 all menu look so delicious..